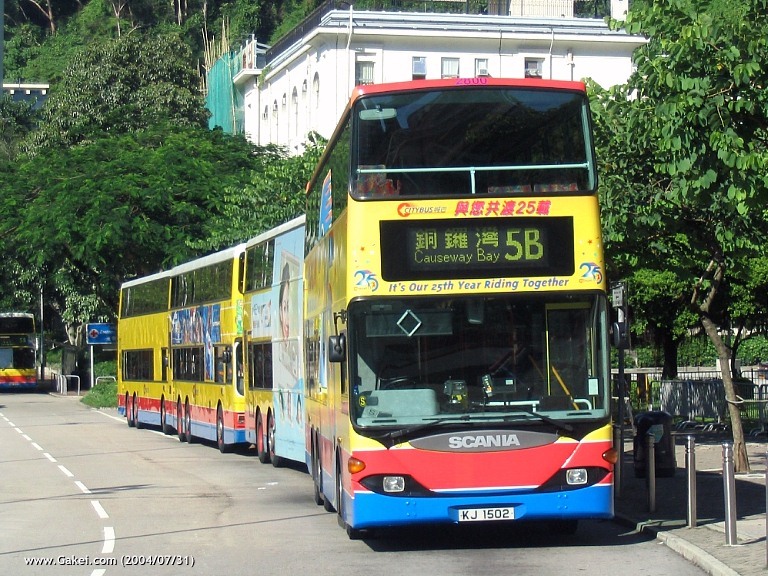 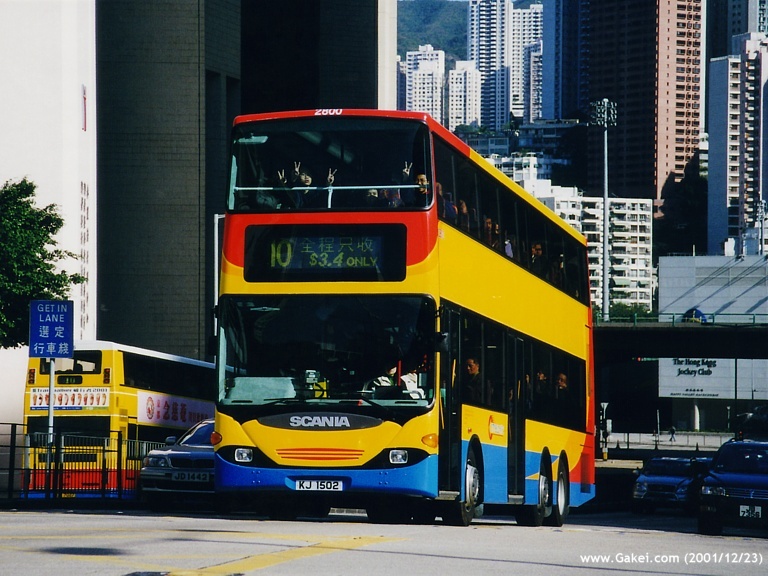 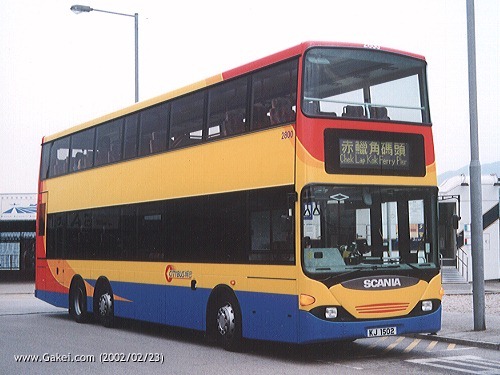 The first 3-axle air-conditioned double-deck Scania K94UB 6X2/4 (VIN: YS4K6X20001837112) arrived in Hong Kong on 26 September, 2001. 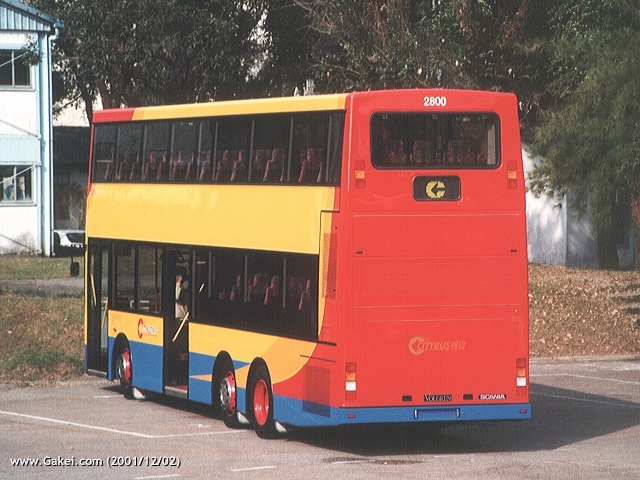 The bus was then delivered to Citybus and was named 2800. 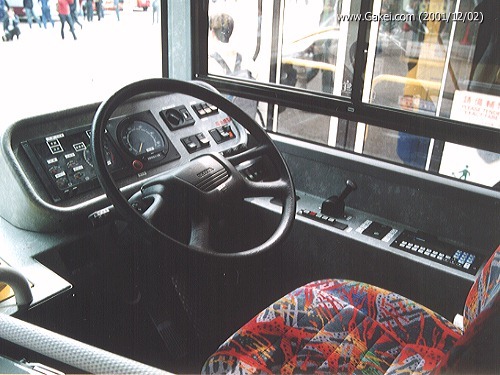 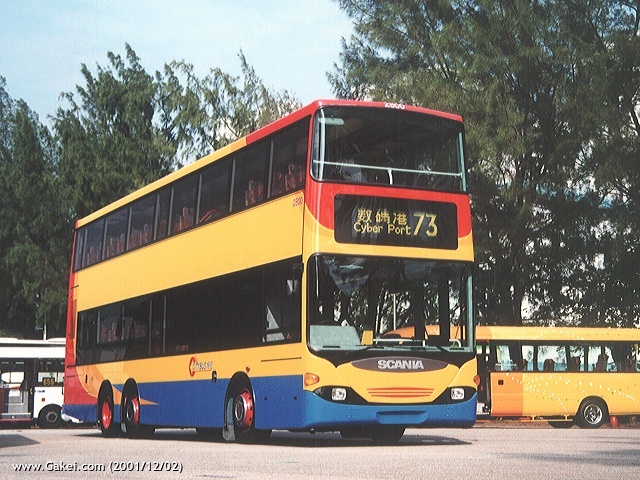 The bus is fitted with a 12-metre Australian Volgren CR224LD body, and is powered by an EURO III standard Scania DSC9-02 engine with ZF 5HP592C transmission. 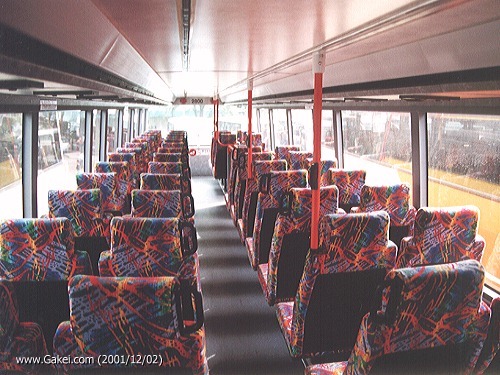 2800 is designed to carry 59 seats on the upper-deck and 31 seats with 37 standees on the lower-deck. 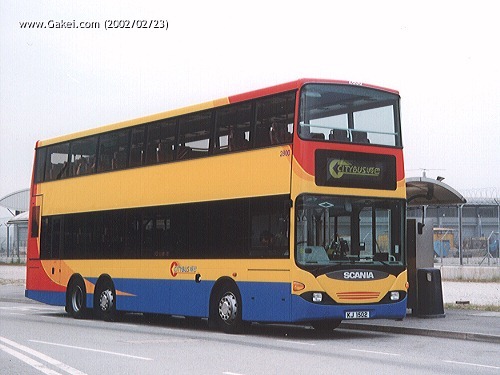 2800 wears a special livery which is in line with the corporate identity of Stagecoach, which was the holding company of Citybus. 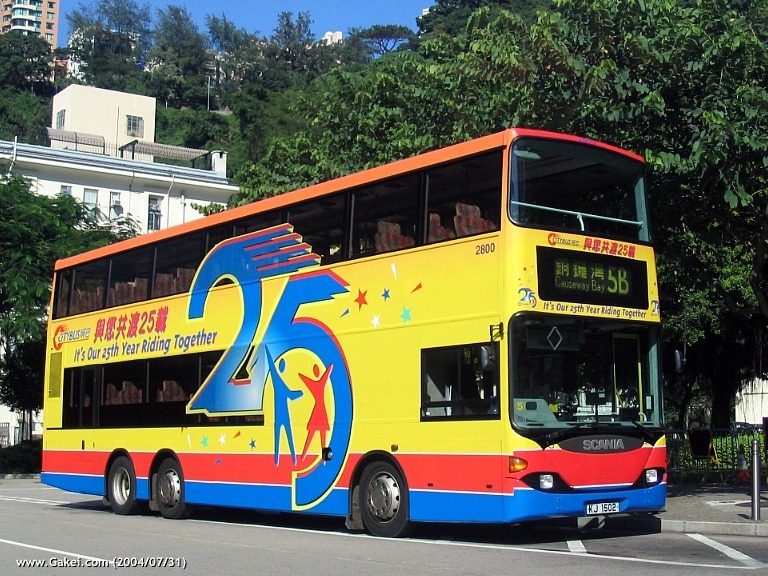 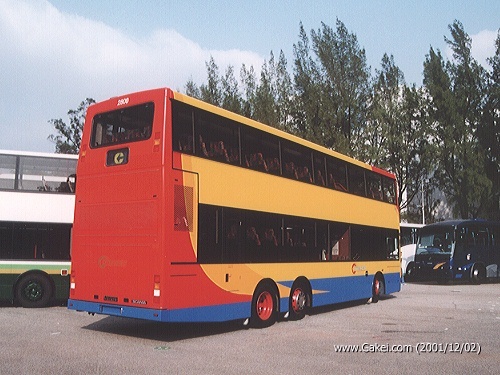 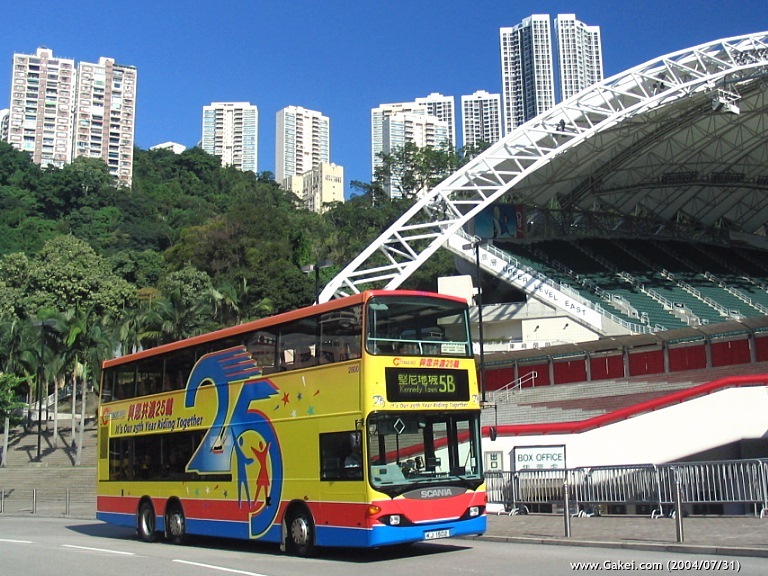 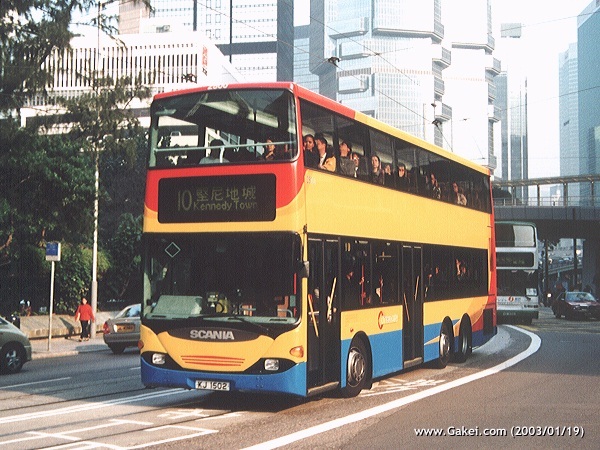 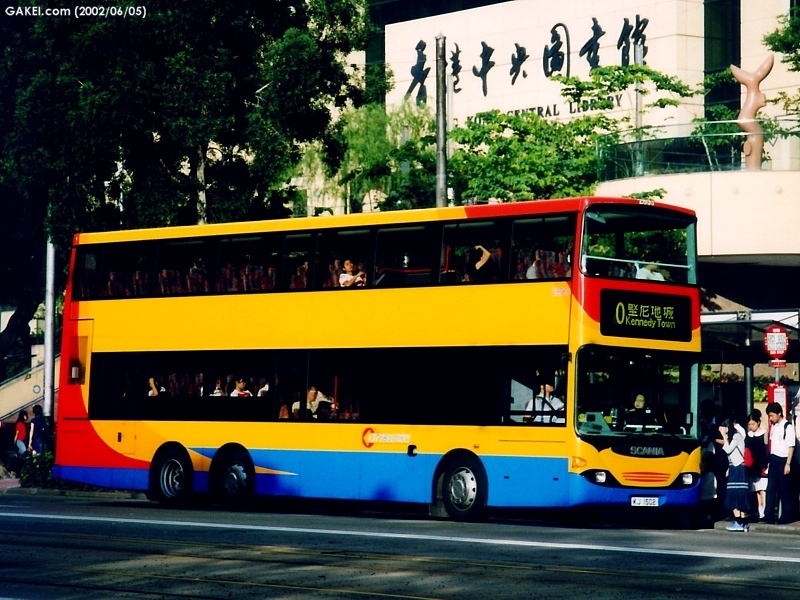 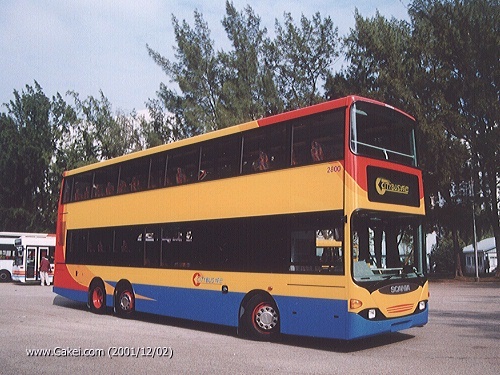 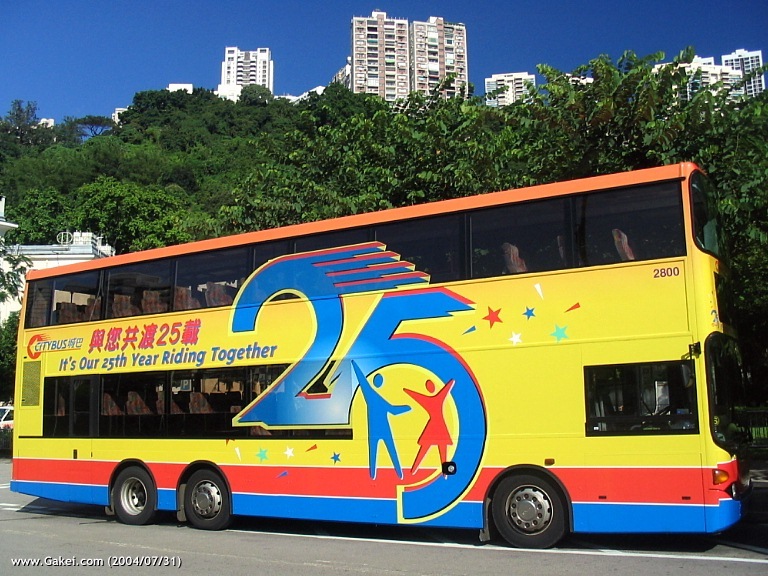 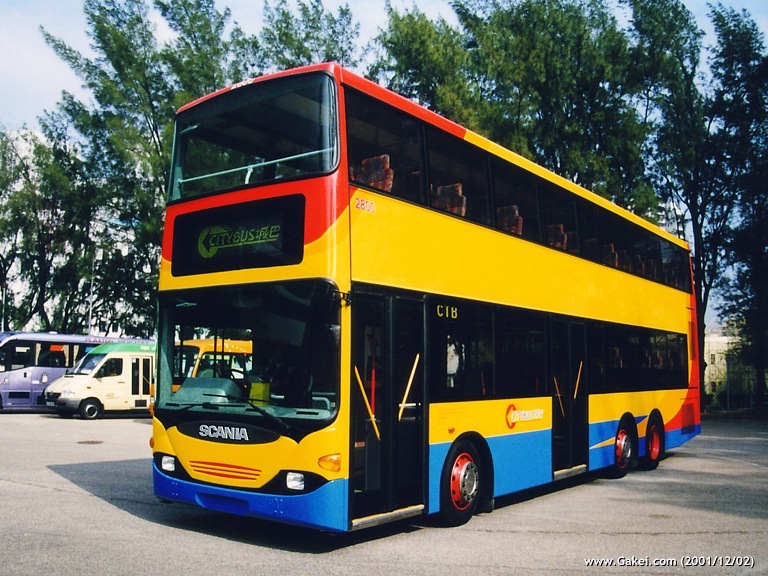 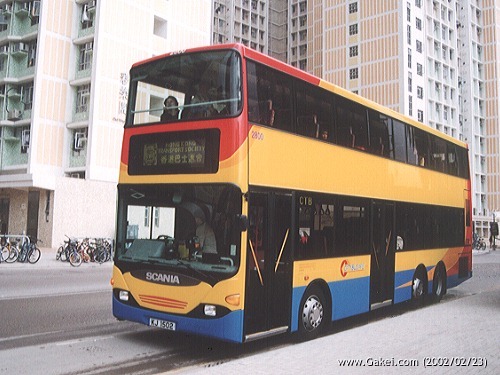 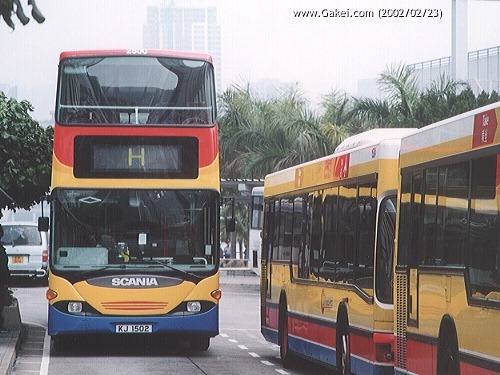 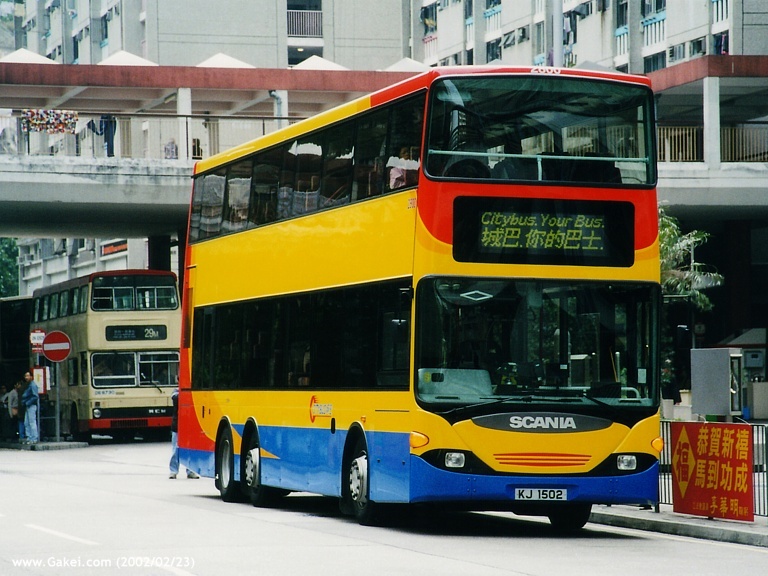 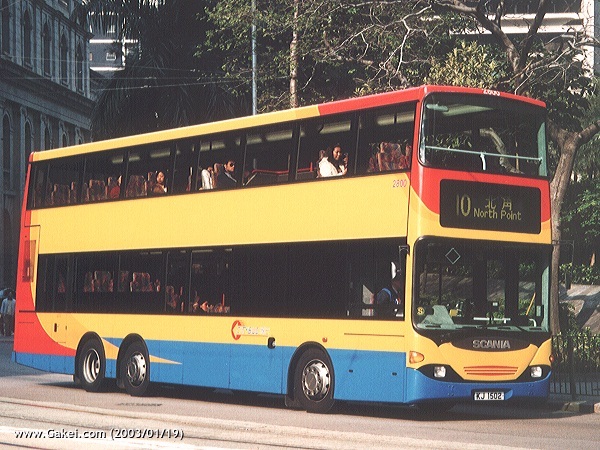 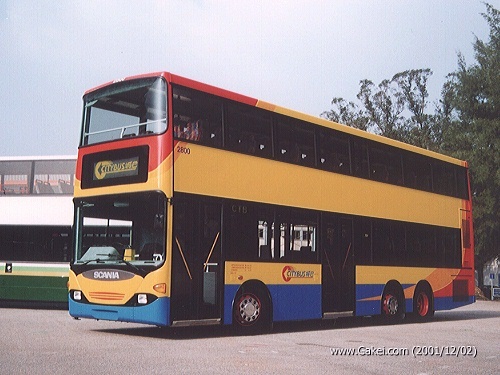 2800 was registered as KJ 1502 on 17 December, 2001 and entered into service on Route 10 on 19 December, 2001. 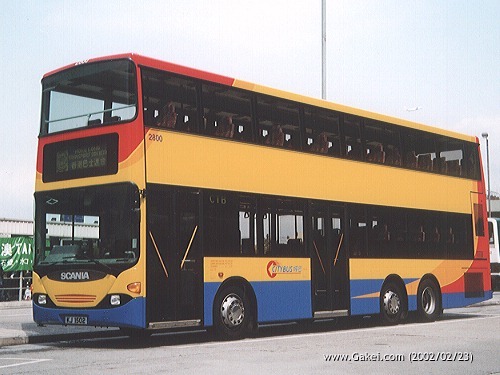 Please click on the photographs below for the enlarged version.